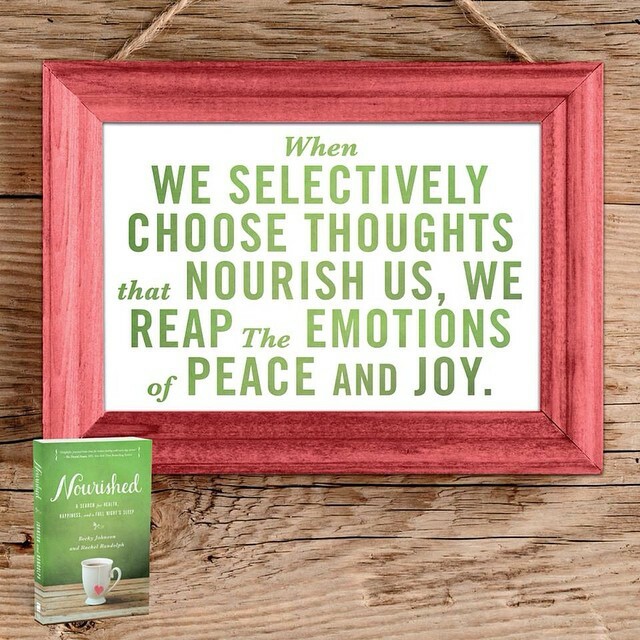 I got an email about the “Nourished” book from Laura Beth with FlyByPromotions and thought is sounded like a miracle. Health, happiness and sleep…together? Is it possible?? I definitely said “yes” in wanting to review it!!! What a wonderful book!! Just like the picture on the cover, it feels as if you’re sitting down to tea with a few friends. Their topics and kind words really touch your heart and make you feel “normal” and “valued”. 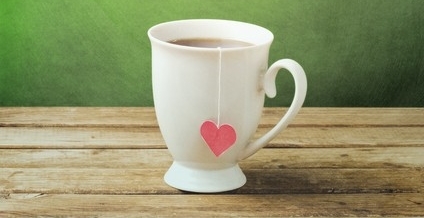 I love the list of the “Top 10 Everyday Stressors” on page 26. How did they get a copy of my list? Some of the everyday stressors being “Stress of Schedules“, “Stress of Negative Body Image” and “Stress of Raising Children” (along with others) were so to the point and the chapter had some great information on how to get through these. I loved hearing how the two authors had similar, as well as, different circumstances in relation to the topics. It’s always a blessing to hear two sides to things, and just like in Proverbs 19:20-21 where it says, “Listen to advice and accept instruction, that you may gain wisdom in the future. Many are the plans in the mind of a man, but it is the purpose of the Lord that will stand.” If you get ideas and/or advice from a group of people, you can then go with what feels right to you, and go with the way that the Lord is leading you. 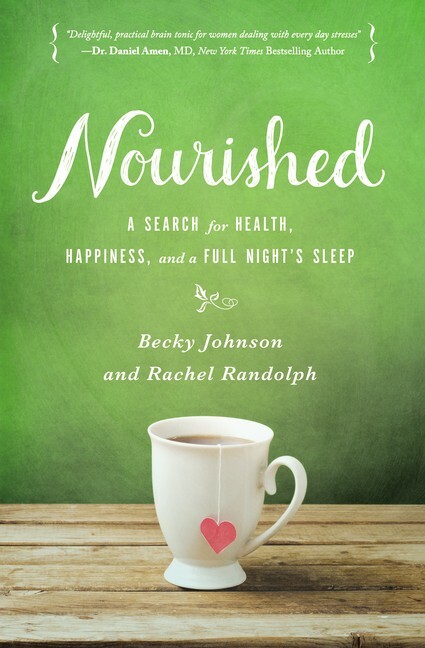 I love how Becky Johnson & Rachel Randolph “talk” in the book. 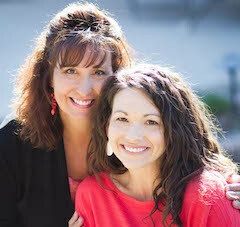 You can tell that they are women after God’s heart and wanting to help others in their walk with the Lord. Us, as women, need to be more like this. Keeping each other “Nourished” in this crazy world, helps ourselves to say “Nourished” in God’s love! This is definitely a book that I would recommend getting as a gift for your friend, Mom, wife, sister…or anyone who loves to read great stories from great people! Sounds like a book that busy Moms and Dads could benefit from. Hope I win! Yes, I have. But sometimes struggle with the good nights sleep! I find happiness in every day just by allowing myself to live in the moment! I wish I could find more happiness in my sleep patterns, though. Struggle regularly in this area. I have found happiness by marrying the love of my life 26 years ago & having 2 beautiful children with him! I am having trouble sleeping so i would love to get a full night sleep. That sounds like a lovely and inspiring book. It sounds great for all of us living in the modern world! I’m going to have to check out this book. I haven’t had a good night’s sleep in a long time. This sounds like a great book. I definitely need help dealing with the top ten stressors, I’m stressed all the time! I want to check this book out since it touches on the issues of stress and raising children. This has been on my mind a lot lately. I’ve been stretched so thin and put the majority of my energy into my son, but sometimes it’s so exhausting and I have nothing left. I bet that this book would help me as I work through figuring out how to try doing it all. Try again later, Keisha – there were issues with Instagram and other sites today, too. 🙁 Thanks for stopping by!